Sees whaur he canna see:"
James Ferguson, astronomer, instrument maker, lecturer, natural and experimental philosopher, was born at Core of Mayen in the eastmost corner of the parish. His father was a cottar* and too poor to provide him with any formal education but nevertheless his aptitude for learning soon became apparent. At seven, he learned to read by listening to his father teach the catechism to his elder brother. At ten, to earn his keep, he was sent to tend sheep for a neighbouring farmer, and what little spare time he then had was devoted to his developing interest in astronomy, making maps of the stars using beads and thread. Undaunted by the lack of access to books in his younger years, he set about rediscovering the principles of mechanics for himself, making models of the machines he saw including a weight driven wooden clock with a broken bottle chime - the only materials he had available. The clock kept quite good time so he attempted to make a watch - the size of a cup - but getting it to work proved beyond the limits of wooden wheel and whalebone spring technology. This extraordinary ingenuity became known to the neighbouring gentry who gave him some help to improve his knowledge of mathematics and drawing. For a time he was employed by Sir James Dunbar of Durn and it was while staying at Sir Jame's house that he painted the two gate stones - one as a terrestial globe and the other as a celestial map. While there he was introduce to Lady Dipple, Sir Jame's sister, and it was she who assisted him to go to Edinburgh, where he supported himself for some years drawing miniatures. After returning north to Inverness to find work, an astronomical rotula that Ferguson had produced was sent to Professor Maclaurin in Edinburgh, who immediately recognized Ferguson's ability and gave him encouragement and assistance. 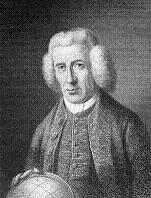 In 1743 Ferguson was able to go to London, where he was introduced to the Royal Society, and published astronomical tables and lectures. He also gave lectures in experimental philosophy, and was heard by George III, then Prince of Wales, who afterwards gave him a pension of £50 a year. In 1763 he was chosen a fellow of the Royal Society, without the usual fees. Although he is now not as well know, Ferguson's influence extended widely in his own time. He was first to form a nebular theory. Thomas Paine mentioned him in his publication "The Age of Reason" and William Herschel studied astronomy from his books. But it is perhaps as one of the first popularisers of science that his main influence was felt. Ferguson created a number of orreries, and machines to illustrate his lectures, and published several books including:- Astronomical Tables and Precepts (1763); Introduction to Astronomy (1769); Astronomy Explained (1772); Lectures on Mechanics, Hydrostatics,Pneumatics, and Optics (1772); Select Mechanical Exercises (1773); The Art of Drawing in Perspective (1775); An Introduction to Electricity (1775). In 1907 a monument was erected in the village of Milltown to commemorated Ferguson's life. The Rubislaw granite monolith was designed by Kelly and Nicol, Architects, of Aberdeen and features a carved plinth showning the signs of the zodiac, and an inscription listing some of his early friends and benefactors. The monument was relocated to its current site in 1949 - an elevated position in the King George the Fifth playing field on the axis of the road to Marnoch.